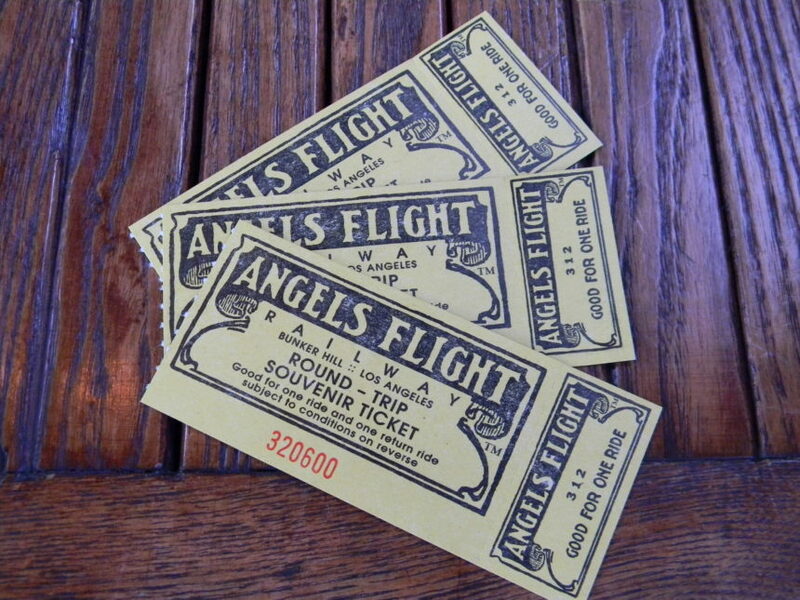 Angel’s Flight is one of the greatest existing skeletons of Los Angeles, located on Hill Street, just outside of the historic Grand Central Market, nearby the Bradbury Building. It’s been out of operation intermittently throughout its over a century of existence, but consistently since 2013 — until this year. Los Angeles Mayor Eric Garcetti just announced that the train will be resuming operations in the fall, with certain upgrades being implemented starting on Labor Day. 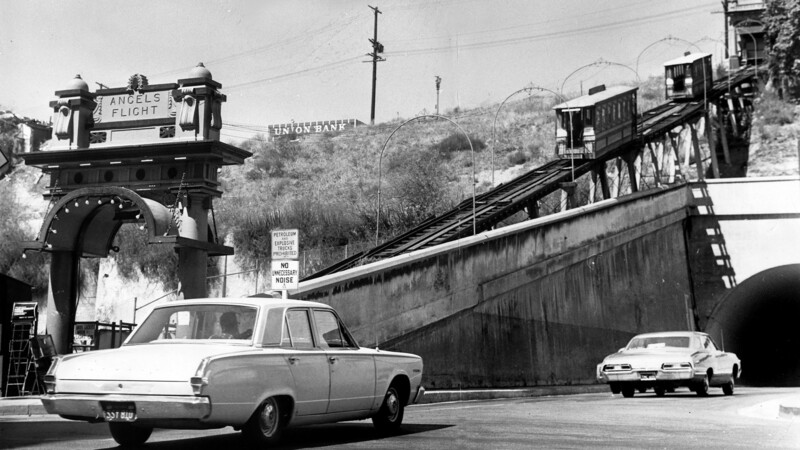 What The New York Times refers to as a “two-car funicular” was built in 1901 with the intention to link the Bunker Hill district to the more metropolitan, shopping areas. Its passageway is only 100 yards, and the fee was a mere penny. While the train at one point serviced more than 100 million passengers, at the end of the 21st century, it was getting little use, and was marred by tragedy when in 2001, a man was killed by one of the cars when it collided with the other. 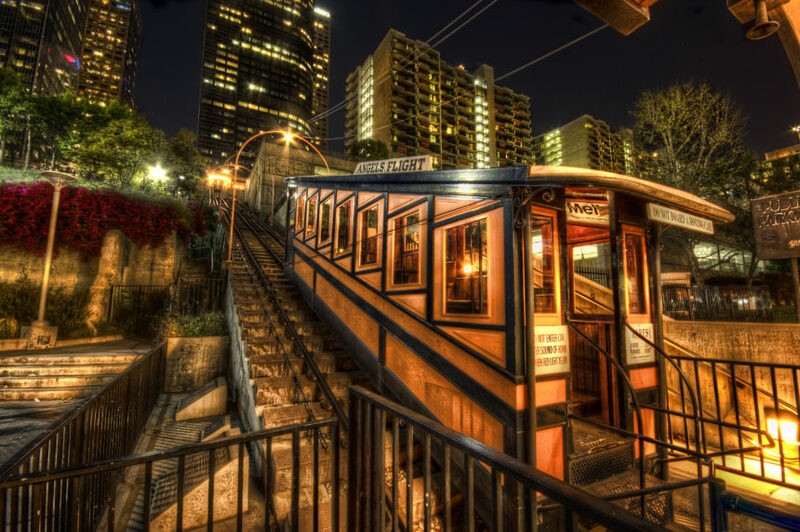 Angel’s Flight has been immortalized in photographs and cinema, making a recent performance in the Academy Award-winning musical La La Land. Tourists and locals alike can recreate that moment on Labor Day, when the railway will once again be open to the public.